It’s the question every consultant asks. So how do you get more clients? There’s certainly no silver bullet. I wish I could write a blog post and say do “X” and you’ll have clients knocking down your door today, and for years to come. Instead, getting new clients takes time, energy, and lots of effort. To get a steady pipeline of clients, you have to invest time into building relationships, networking, and marketing your consultancy. In this post, I’ve covered 33 strategies you can use to get new clients. You may be familiar with some of these at a glance, but read through because I’ve included helpful advice, resources, and tools for each. Okay, okay, I know…referrals are the most obvious and well-known way to get new clients. However, too many consultants just wait for referrals to fall in their lap. After all, happy clients should spread your name, right? Most clients will, but sometimes clients are busy and won’t go out of their way. Instead of waiting, open your email and find 2 happy clients, who haven’t sent you referrals yet. You are going to email them right now asking for a referral. Seriously…do this. How is [Company] doing? I enjoyed working with you on that project and would love to hear how it’s going. On a side note, I’m looking for new clients to work with. Can you connect me to any people or companies in your network that could use my services right now? Partnering with an agency is a great way to bring in new clients. I’ve used this exact strategy and built a partnership with an agency that sends me at least 1 new client per month. I also make sure the agency is larger than my consultancy, so I’m not competing. Normally when an agency turns down a prospective client, they’ll refer the client to a new company in their network. That’s where you come in. I reached out to a dozen or so web agencies with a personalized email offering to partner or take on any work they pass up. I received responses from about half, and set up phone calls with each to discuss further. I would usually email the person in charge of business development, since they were focused on building relationships with outside vendors. This is really another no-brainer, and chances are you already use job boards. If you don’t, bookmark all of these below and check them daily for new projects. This is probably one of the easiest ways to get new clients. These boards include logo design, web design, development, marketing, copywriting and miscellaneous jobs. Positions cover remote, full-time, part-time, contract and more, so there’s plenty of options. Did I miss one? Post in the comments and let me know. Indeed (try keyword + your location (or) remote (or) contract (or) freelance, etc. If you don’t want to check these boards daily, you can subscribe to a service like Workshop (design and development only) or Working Nomads (remote only). They’ll email you the best leads from job boards daily (note that only some boards are included). When I say “lost clients”, I’m referring to clients you may have spoke with or sent a proposal to in the past, but didn’t win the business. Go through your email and find clients you lost 2+ months ago. Send them a follow up email asking how their project is coming along, and if there is anything you can do for them. This tactic is about being helpful and showing you care about the client. This can lead to a small project or even spark a new conversation about hiring you, if they are unhappy with their previous selection. If not, you’re still putting yourself on their radar and might see some referrals coming your way. Browse through old email conversations with colleagues, connections and people you’ve spoke with in the past, who could be a fit for your consultancy. Follow up with each, asking what they’ve been up to and how you can help. Asking how you can help the person, whether its giving feedback, advice, tips or doing a small task, can be rewarding, and it helps you build up relationships with the right people. Remember, if you go out of your way to help someone for free, they’ll likely return the favor and help you. I followed up with an entrepreneur I met a few years back, who had recently founded a company. He asked for my feedback on his product and any advice I had. I hopped on a call with him to discuss, and he later hired my consultancy for some internal design and UX work. Facebook ads and Google Adwords are great ways to advertise your consultancy to prospective clients. Both platforms let you set a small daily budget for those that are cash-strapped, or want to test the waters. I found Facebook ads easier to use than Google Adwords, which definitely has a steep learning curve if you’re new. PPC University is an amazing resource to learn about running effective campaigns, or check out Kudu, a service that will manage and run campaigns for you. For visitors who come to your website and leave, you can use retargeting services like Adroll or Perfect Audience. These platforms allow you to track who visits your site, and lets you later serve ads to them via Facebook, Twitter, and other online marketing channels. You can also try buying display ads from BuySellAds. However, there may be a higher minimum budget, depending on the sites and creatives you select. Blogging is an amazing way to build relationships and become an expert consultant. My first blog post ever has gotten over 15,000 visitors, 50+ comments, hundreds of newsletter subscriptions, and has introduced me to some amazing people. Start by blogging about topics that tie into your services, and will appeal to prospective clients. Peep Laja writes a blog about conversion optimization, which is filled with articles that help companies increase their conversion rates, and make more money. By posting quality content, Peep is viewed as an expert on conversion optimization, which helps him build an audience and generates new business for his consultancy. The big question that comes up with blogging, is how to drive traffic to your posts. After publishing an article, I like to post it to GrowthHackers, Inbound, Reddit (find a subreddit for your blog niche), Hacker News, and my twitter feed. You should also email each company or person you mention in the post, with a note that you’ve mentioned them. I also reach out to my network and send a link to people who I think might find my post interesting. This is usually enough to get the ball rolling and to get some traffic to the post. Blogging takes a lot of time, especially since you need to do it consistently, for better results. Scripted is a great content writing service you can use to outsource your blog post writing. Write an eBook that can help solve a business challenge or create value for your prospective client. Marketer? Write an eBook on how to decrease shopping cart abandonment. Writer? Write about how compelling copy can help a business make more money. Designer? Write about how user onboarding is key to getting customers to use, and later pay for your product. Write the eBook and give it away for free or sell it on your website. If you give it away for free, be sure to capture emails in exchange for the book, that way you can build a list of prospective clients to market to. Find blogs that your prospective clients read and ask to guest post on them. You should write about a topic that fits within the blog, but also something that readers will get tons of value out of. Guest blogging is great because you can share your expertise and grow your brand by tapping into someone else’s audience. Alltop is a good place to find popular blogs in your industry. Peter Sandeen has also compiled a large list of blogs you can get guest post on. Be creative. Try different search phrases and you’ll discover some great potential clients and projects. You can use Warble to automate your searches and have them delivered to your inbox each day. Instead of sitting behind the computer all week, plan to go to a meetup or a conference, where your prospective clients may be mingling. If you go to conferences and meetups where all your competitors are, you’ll have a hard time finding people that need your services. Online networking is important as well. Complete a LinkedIn profile with up-to-date information and work samples. Import your contacts and connect with as many people in your network as possible. Share your blog posts, website and other interesting content directly to your LinkedIn news feed. Just like going to meetups or conferences that your prospective clients attend, join LinkedIn groups where they post. There are groups for every industry on LinkedIn, so this is an excellent way to get in front of prospective clients. Answer questions, offer help, post useful content and you’ll not only grow your connections, but you might also land a new gig. Create a course on Udemy to tap into a large audience of students and prospective clients. Tapha Ngum wrote a course on Building and Selling a Niche Website From Scratch, which has thousands of students. 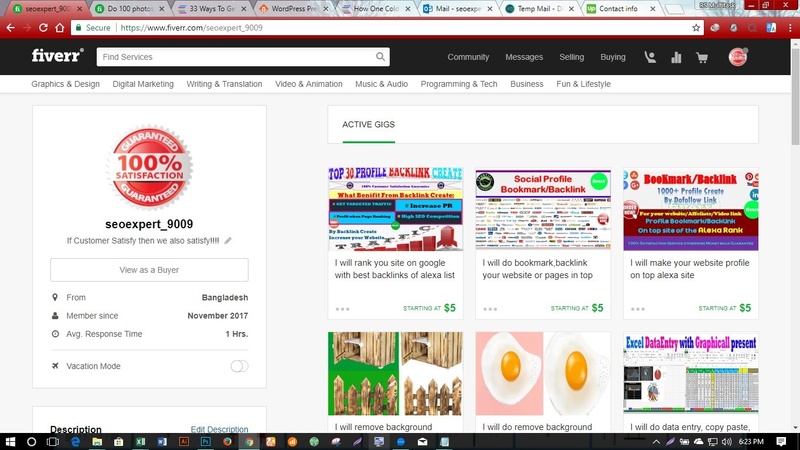 Tapha made money from selling his course, and from people who reached out to hire him directly. Productized consulting is a powerful way to create recurring revenue and get new clients. With productized consulting, you bundle your consulting services into “package” that the client can purchase for a monthly fee. Best of all, you’re creating predictable, recurring revenue. If you offer services like design, marketing, development, writing and so on, consider selling your offerings as a package that clients can purchase. Have another great example? Post in the comments and let me know. You might already have a contact form on your website, but this is normally used by people who are ready to hire you, or say hello. Most of the time, a potential client will browse your website, then leave – without ever contacting you. In order to establish trust and build up a relationship with visitors, you can try to capture their email by giving something away. Give visitors an eBook (as mentioned above), a whitepaper, a free 30-minute consultation or even a step-by-step guide to increase their conversion rates, in exchange for their email. You can later turn these leads into paying clients through a drip email campaign or by contacting them to find out more about their company. I recommend SumoMe, which easy to use and great for capturing leads. A playbook is a great way to attract new clients, as it provides detail on your process, how you work and how you can help the client. The team over at thoughtbot have the best playbook I’ve seen to date. It covers their processes from design, development, sales, hiring, operations and more. It gives prospective clients an inside look at how projects get done at thoughtbot. My consultancy has a playbook and you can also check out playbooks by Zurb and The Phuse. A playbook is a powerful marketing tool, as well as a good “closer” to win new business. If you work from home, consider coworking at least once a week. Coworking spaces are great for meeting like-minded individuals and becoming part of your local community. You’ll build up strong relationships and be a go-to consultant for people at the coworking space. Most spaces also host events, meetings and conferences, which are great platforms for connecting with people and spreading your brand. Find coworking spaces by Googling “coworking + your zip code”, browsing the Coworking directory or by searching on the map at DeskSurfing. A long-term strategy to bring in new clients is to help people who are connected to your prospective clients. Offer ideas, intros, feedback, thoughts or help them in any way possible with their business challenges. This is a bit different than following up with your network, mentioned earlier, because its an ongoing process. You might not close a client or get referrals immediately with this strategy, but its a proven tactic to build relationships and win new business over time. A friend of mine, Brandon Pindulic, uses this strategy to build relationships and get new clients. He helps out anyone who gets in touch, whether its giving advice, feedback or helping with some marketing stuff. Though he says this strategy is pretty taxing and can take up a lot of time, he’s landed big clients and received referral business just for helping. If you’re looking to land a new client and really want to get their attention, try sending a handwritten letter. Find the person at the company that is most likely to hire you. Write and send a letter that focuses on solving their problems, and also include an easy way to reach you. This strategy is also great to use when following up with acquaintances, prospective clients (“hey it was great meeting you…”) or keeping current clients happy. A letter in the mail adds a nice personal touch and shows people you truly care. You can write the letters yourself, or use services like Handiemail or MailLift to have the letters written and sent for you. What do platforms like Shopify, WordPress and Drupal have in common? Besides being great content management systems, they are home to millions of customers who rely on these platforms to run their blog, website or store. “Piggyback” on these platforms (and others) by tailoring your services to directly help their customers. For example, market yourself as the go-to design shop for Shopify stores, the Drupal experts or WordPress pros. Piggybacking on platforms is a proven method to tap into a large customer base, where help is almost always needed. Almost every industry has networking sites that bring the community together. These sites are an amazing way to grow your brand and land new clients. If you design, make sure you have a profile on Dribbble, Behance, Coroflot and/or Krop. Also join the discussion on Designer News. If you’re a developer, be active on GitHub, Stack Overflow and Hacker News. If you focus on marketing and writing, dive into the conversations on Growth Hackers, Inbound and Reddit marketing. I personally know several people who receive client inquiries from Dribbble and GrowthHackers, just for uploading work or engaging in the discussions. Find questions on Quora in your industry, and write thoughtful answers. Fill out your profile and link to your website, so people can learn more about you. Be sure to not just spam your website around Quora. Instead, build up relationships with people and be helpful. Millions of people search for answers on Quora (and most questions are heavily indexed in Google) which brings traffic and visibility to your replies. You can start this strategy by answering 1 question a day, or a few per week. You’ll be amazed at the responses and relationships you’ll build up in the community. To get press for your consultancy, you have to come up with a unique angle that would be appealing to reporters and their audience. Don’t pitch your services and company, instead act as an expert on a certain topic – increasing productivity, hiring employees, remote working, managing teams, etc. HARO, PitchPigeon and Muck Rack are great resources for pitching the press (you can also go to Product Hunt and search “press” to see tons of other tools available). Coming up with your own story and getting in touch with the right reporters can be difficult. Try contacting local PR firms and offer your services in exchange for some PR work. If you have a budget, you can hire someone with AirPR or use a service like Bite Size PR. Create a presentation and upload it on SlideShare and Speaker Deck. If you’re a marketing consultant, create a presentation on 10 growth hacks startups can use to get more customers. If you’re a management consultant, create a presentation on how companies can improve their workflow and processes. The possibilities are endless, and creating an engaging presentation will bring in traffic, social shares and new leads. Similar to the SlideShare tactic above, write a guide on a specific topic that you have expertise in. Guides is a great place to distribute your guides, along with your personal network and on social channels. Creating a guide is proven way to drive traffic, capture leads and become an authority on a topic. Case studies show prospective clients your results and success with a particular project. A case study usually covers the client, challenges, process and results of a project or engagement. Ben Gran has written an in-depth post on how to write case studies. Mark at Tiger Tiger told me a story about a local design consultant, named Justin, who took a controversial approach to land a new client. Justin found a company in his home country of New Zealand, who he thought could benefit from his services. He then bought the crappiest beer in New Zealand and visited the company’s headquarters. He walked into the CEO’s office, placed the beer on his desk, and said, “this beer is like your website…it’s nice on the outside, but tastes like absolute crap.” After a discussion, the CEO agreed, and Justin left with a contract to work on the company’s website. This is just one example of creating offline controversy, but can certainly be replicated online. Unbounce has written a great post on the science of controversial content. If you’re going to take a similar approach, make sure you don’t cross the line by doing something harmful or illegal. If you’re replying to a job ad, or cold emailing, its a good idea to be personal to stand out against your competition. I came across a post by Devesh Khanal, on how he landed a paid contract from a CEO in 1 week. Why was Devesh able to get the CEO’s attention andclose a contract in just 1 week? He made his email super personal. Devesh recorded a screencast of the CEO’s website, and offered steps he could take to increase his conversion rate. The CEO was amazed by the effort Devesh had put into his cold email, as well as his expertise on conversion optimization, so hiring him was an easy decision. This is one of the best examples of how to be extremely personal to win new clients. Clients are normally bombarded with emails from consultants that contain a bio and website link. Devesh’s approach is personal and captured on video, so its easy for the prospective client to understand his ideas. A personal touch like this can be replicated in so many ways, whether its doing a redesign of a website, revising marketing copy or coding up a quick prototype. Being personal takes time, but its likely to help you stand out and close more clients. Attending conferences is great, but you should also try speaking at them. Find conferences in your industry and reach out to an organizer about speaking. Pitch them on topics you’d like to speak about, and back it up with your skills, expertise, experience, website, blog and more. This isn’t going to be for everyone, especially new consultants (or people afraid of public speaking), but its a great way to build up your personal brand and forge new relationships with a live audience. Business cards can be an effective marketing tool, if executed properly. Mark from Tiger Tiger hands out business cards printed on 600 gsm stock letterpressed, which are of high quality and make a great first impression. They cost 3 bucks a pop, but have helped him close some serious deals with companies. When he gives these business cards to prospective clients (or people connected to his clients), they’re immediately impressed with the card quality, which is a reflection of his brand. They end up being shared around the office, at meetups, on social media and more. This post has 30 of the most creative business cards ever, which are guaranteed to spark some creative ideas for your next business card. Search engine optimization is a great long-term strategy to drive targeted traffic to your company website. You won’t see overnight results with SEO, but with a sound strategy in place, you can drive traffic over time and convert visitors into paying clients. I talked earlier about partnering with agencies. Another strategy, is to partner with a non-competing company to offer your services as an extension of their business. Find non-competing companies and pitch your services to them (as mentioned in #2) to form a partnership. For example, my consultancy partners with a web development company that has no design or creative lead. I handle the creative direction for some of their projects, while they focus on the development. In exchange, I sometimes have projects that need development, so I use them as my development resource. Its a win-win partnership for both companies. I’ve covered some great strategies that will help new and veteran consultants land more clients. A lot of you will read this whole post, but never take action. I want you to choose 3 strategies from the list and come up with a plan to implement them right away. Don’t make excuses – choose 3, make a plan, set some deadlines, and getting going. Post in the comments the 3 strategies you plan to implement for your consultancy. These are my best strategies for getting new clients, but I want to hear from you. What strategies do you use to land new clients? What tools and resources are helpful? Have you used some of these strategies before? What worked and what didn’t? Great stuff Marco, I like the crap beer idea! I remember someone sending me a giant chocolate key once with a tiny sticker on some string that said “UNLOCK THE SECRET TO SEO – http://WWW.WEBSITE.COM” can’t remember the website now but it was a real way of standing out from the all of the other junk! Tip on cold emails: make them short – most people will quickly validate whether to read further or not from the headline on your email and then the first 2 lines – on an iPhone this is literally around 8-15 words so make it snappy! 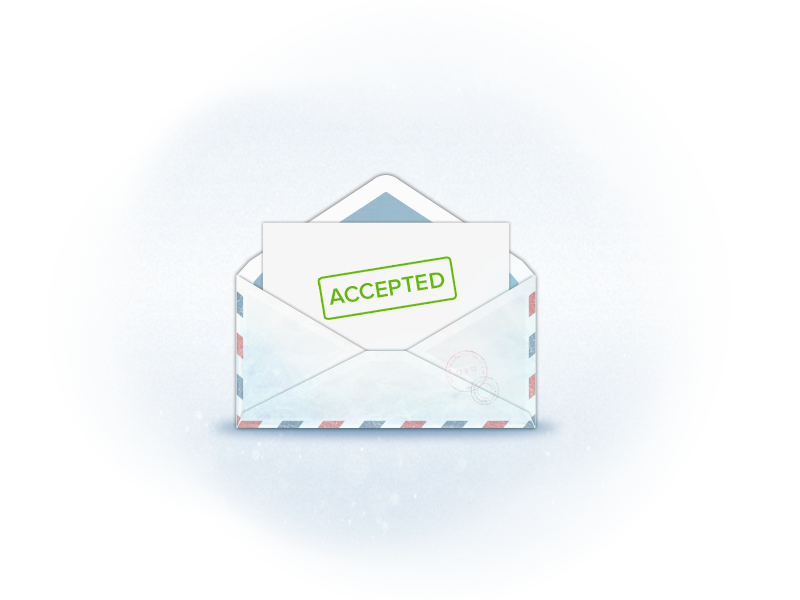 Sending letters or small gifts to people definitely works. I know a few people who do it – definitely a solid way to stand out. Thanks Khizar! I elaborated on each to help spark new ideas and provide resources, since some of these may be common strategies. Great post Marco! One tip I’d add for people looking to get clients is to PICK ONE of these techniques at a time. If you try to do all of them, you won’t get as far. A big thank you. I arrived here from twitter. Halfway down your post I had signed up for GrowthHackers and in the works with many of your other suggestions. It’s an impressive list that I’ll have to add into my workflow, and since I’ve just launched my new biz it looks like I’ll be starting off on the right foot, thanks to you. Thanks for reading Darlene. I’m glad this article was helpful! Pretty solid list. I got my own list of about 8 ways, you just upped the ante! Thanks for sharing. brilliant advice, just what I’ve been asking myself lately! What an awesome list! Each point backed up with links and good advice. I’ll keep this bookmarked. Nice on Marco! This is a great list. Thanks! You know, I find a lot of points here are applicable not only if you are a consultant, but also if you run a small website or business. I mean, you can rightly ask referrals when you have your own product to push a little further. Is that right? Anyway, I found out about a lot of strategies I had never thought of. Thanks David…would love to hear which strategies you plan to try! These strategies can definitely be applied to running a business or website..a lot of them are focused around building relationships, pushing out content and creating partnerships which is pretty much a universal way to get customers. I absolutely agree with you. These are great strategies for any vertical, industry, or sector. Thanks again. PS: pure io Italiano, a Roma 🙂 Ciao! Great list! A lot of ideas that I haven’t really considered before. I’ll be sure to start using these asap. Thanks for sharing! We do the ‘productized services’ model for our upstream platform partnering consultancy, and package it as a 3-service suite as well. Dude, you are the best! Another awesome article. Anymore on the way or am I pushing it :)? Ran a little experiment with hand-written notes for the company I currently work for. Definitely going to give it a go in the consulting world. It’s so easy when you can target the individuals and the companies you want to go after. Definitely going to target clients with poor web presence/design and create demo’s of what there website could look like and hopefully blow some minds! Let me know how the handwritten letter approach works..and got a few more posts in the works..stay tuned. This has been book marked, best post yet! Definitely looking into this playbook idea, love it! A playbook is definitely a great way to give prospective clients a look at how you do things. You guys do some nice work, I’m sure you’ll come up with something great! This list is very helpful. I am Web developer and I promise to be more active on plattforms like stackoverflow and github. Im also interested in a partnership. Please remember me if you have an interesting Web project and if you need some help. One thing I would add is creating “process documents” that explains to clients how your services work, your approach and what they get. I discovered that it provided clients with more insight and confidence into my services, making easier for them to make a decision. Good suggestion. Sounds similar to the ‘playbook’ I mentioned above (#17), but I could see a direct document outlining the process and possible questions to be really helpful. I am so glad I found this article. My company http://www.luutaa.com just needs to expand and we are looking for strategic ways to generate quality leads. Thanks so much. Definitely like the ‘Be Personal’ approach. Companies (especially small businesses) want people they can trust. Being upfront and straight from the beginning will serve you well. Thanks for sharing this list Marco. Great job! Hi Marco, regarding “15. Productize your services”. Here is another source teaching how to productize support and maintenance services and also services for growing your clients’ businesses. And finally how to build recurring revenue out of it. Awesome blog post! This is an amazing list, very helpful! Thanks for spending the time putting this together and sharing with us. Nice Job Marco! These are 33 excellent tips for social seo guys who run a solopreneur agency. Glad to see that Slideshare featured your Deck, its a gold mine for guys like me. Nice work Marco! Lots of work went into this piece Marco. Definitely worth a re-read and a bookmark. you are a marketing genius. I am trying to find clients for my web design business. Thanks for the advice. This is great. One question however. How does one set up a monthly payment system productizing a service? Is there a service online you know of that can assist? Thanks! Fanastic! I never thought of partnering with agencies. Over the past 14yrs I have been in contact with quite allot of agents doing contract work but now I want go direct and generate my own client list whom I can look after. I am a mechanical design engineer wanting to supply product design & development services as well as offering to improve manufacturing efficiency, cost saving and process improvement stratagies. I will probably productize my services, keep trying social media and contact prevous employers but I think I’ll try everything above to see what works and stick to that. Thanks so much Marco. Its really a good one, i found it very helpful for my clients and my views about dealing with clients. some of above ways…thank you Marco! Excellent post. I wrote something similar to this, but have not published it yet, but you went way deeper than I did, I’m going to combine #1 and #20, #16 and #6 and #2. We’ll see how it goes. awesome wisdom you share buddy thanks aton. Thanks . it helps me. Some interesting ideas here – thanks very much. Hey Marco, great article. I’ve used #20 before with lots of success, I can vouch for MailLift, awesome service. Also wanted to give you an example of another productized service called Birdleap (https://birdleap.com) – It’s a productized service that gets your content in front of ideal customers with Twitter ads. Hey Marco! Thank you for sharing mind blowing article. Great job man. Lots of great information. 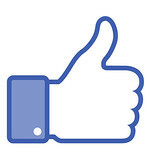 I give all of it a big thumbs up! This was great, thank you for sharing! That was a great idea!!!!! Hi Client flow, it was really a fantastic article which has ignited my mind and I would work on #7, #20 and #29. Thanks a ton! Nice article and looking forward to using some of these actions. Always a challenge looking for work. Its more of a sales job than anything which I’m getting turned off as a designer. Very good information for me. Hope to make the best use of the same. I will not be choosing 3 but will try and apply most of these. As said, communication is key. I’m going to take that adage a step further here and say that the right communication is key. Anyone can say anything, but in a meeting with a client, expressing your ideas in terms that make sense to them is essential to maintaining the upper hand. Watch this video to understand clearly this concept. https://uploads.disquscdn.com/images/96dfef91a18cfa29db385a8e3f1e3f67e73bacbf35b59ccfe97333c4eace3d30.jpg Thanks a lot for this post. It`s filled with good ideas and tips! 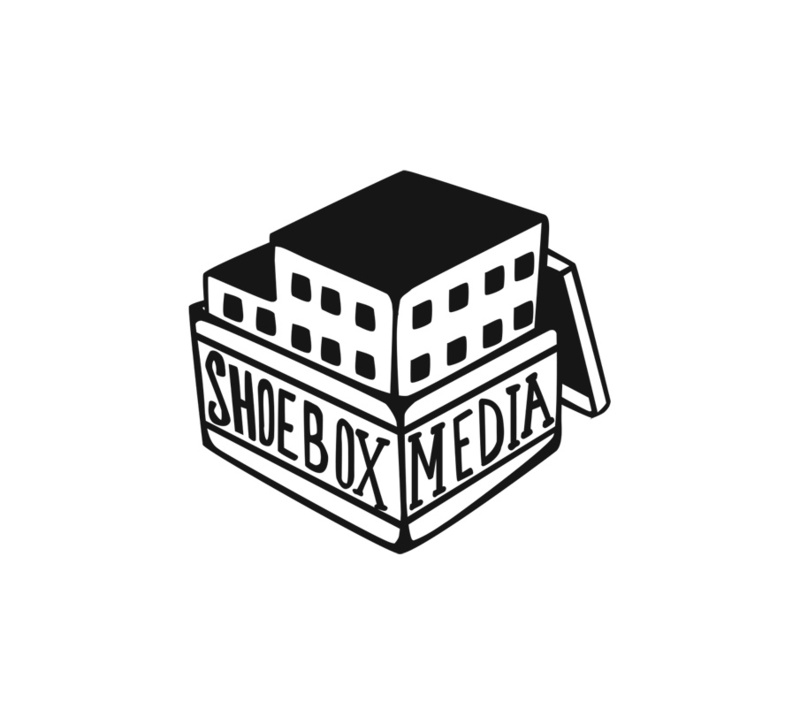 http://www.shoeboxmedia.ca – video, photo and print services in toronto. Thanks a lot for this post. It`s filled with good ideas and tips! Everyone has different customer types. Not all customers are created equal. Identify what key factor(s) set one apart from another and segment your users from one another. It could be geography; it could be specific products they buy or it could be a demographic detail. Once you understand that, you are better able to target messaging, develop product and drive value for both the customer and your business. Some of the Adwords Click-to-Message Extension marketing tips to get leads. As your time is precious towards more vital tasks, that is why our Virtual Personal Assistants will take care of your support activities. Our main goal is to reduce your day to day workloads in your personal as well as business. Yes it sure help to start up business and those are looking for clients. Numbers of clients is also scale of business success. I like this post and looking more post like this. You guide is an awesome. Hey congrats for writing such a awesome blog!! Only few people have this kind of skill and i more thing if you want to list your project please visit https://betapage.co/. Nice Article but 21st and 24th are really good. ,also you can create blog. I know that you are bombarded with spam messages, and I do not want to be categorized in that way. We are a local company that respects your time, so I want to be brief. I’d like to offer you a free gift, in order to show what we can do for your home or office, that is truly a necessity. If you have a few short minutes sometime today, I’d love for you to read this short book and accept it as a gift. Here is the link: https://www.mediafire.com/?1a2zh4zzad15971 If you can’t click on it, please copy and paste it in your browser. I think that you will enjoy it. Great information. Thanks for sharing your wisdom. Thank you for your article! I found very helpful tools! You mentioned ppc … I need your advice.. Is it a good idea to promote an accounting services on social media like FB, IG or Linkedin? 33 are the best way to get client. II will apply all of them. Thanks for sharing. Thanks for sharing, As a freelance UI/UX designer I am working with lots of client and I believe it helps me a lot to going ahead. Really I learned a lot from your insight. assignment instructions. you can reach via mail [email protected]. or whatsup +254728695975. Want great website or Android app then visit us at Developers Nation! Providing services at the most reasonable rates and with the ethics of quality, commitment and perseverance. Awesome Post! Loved it. Thank you so much for sharing such a valuable post. I am starting with these strategies, soon I will get back with my story. wow! I was looking how to make my new business grow, and this gave me so much Ideas! This is very helpful. My first year using online platforms gets me confused. Sometimes I don’t even know what’s going on in my clients mind. This list made me realize that I have to do things differently. It was very informative tips for my Clipping Path , Background Removal service. IF anybody need you can contact with me.And thanks for sharing this awesome tutorials. I like this simply because it shows so many ways, I would love to see statistically which is the easiest / best but usually when somebody finds this they don’t want to share.